My Manchester Roofer offers a wide range of both roofing and cladding services to the residential and commercial markets; all types of specifications are undertaken. The size of the work MMR engages ranges from £500 up to £1million contracts. The longevity and success of MMR is down to the ethos and culture of the company. A partnering orientated ethos, with a continued effort to work hard to maintain client satisfaction, has ensured that MMR continues to build on relationships with clients. My Manchester Roofer ( MMR) have been in the business of domestic roofing for over half a century. Being based in central Manchester we are well placed to serve all areas in and around the city, Cheshire and the wider area. Our family-run business has been built on a mixture of communication and transparency topped with great pride in our customer support. It’s our aim to exceed your expectations at every level. All our roofing services come with a full guarantee. Whether you’re looking for a complete roofing overhaul or require maintenance, give the team of experts at My Manchester Roofer a call today. We have a wealth of experience, which has enabled us to grow into the highly professional company we are today, without losing our traditional core values for a high standard of service with total customer satisfaction. Fibreglass GRP roofing in Manchester provides a strong, durable and long lasting solution to commercial & industrial roofs. Whether its factory, warehouse, showroom or office, your roof is vital to the day to day running of your business. Leaks, damage, age and deterioration can all unexpectedly disrupt your business at any time. Therefore it is vital that your roof is maintained and built to industry standards to ensure the protection of your business and goods. 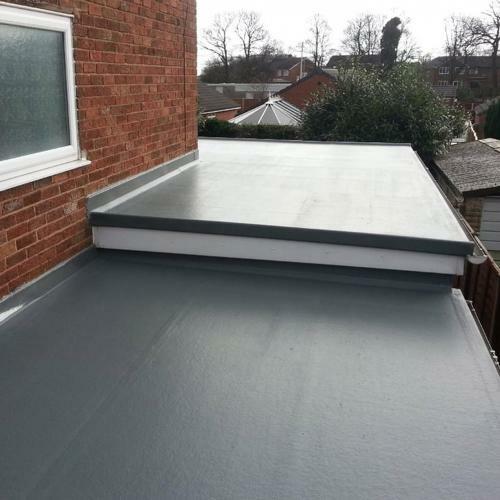 If you are looking for a Fibreglass Roof in Manchester, My Manchester Roofer provide a wide range of roofing services to commercial & industrial businesses as well as domestic & residential customers throughout the north west of England. From repairs & general services to complete rebuilds of all types, our GRP roofing services in Manchester offer expert roofing to ensure your property receives the very best experience & service. 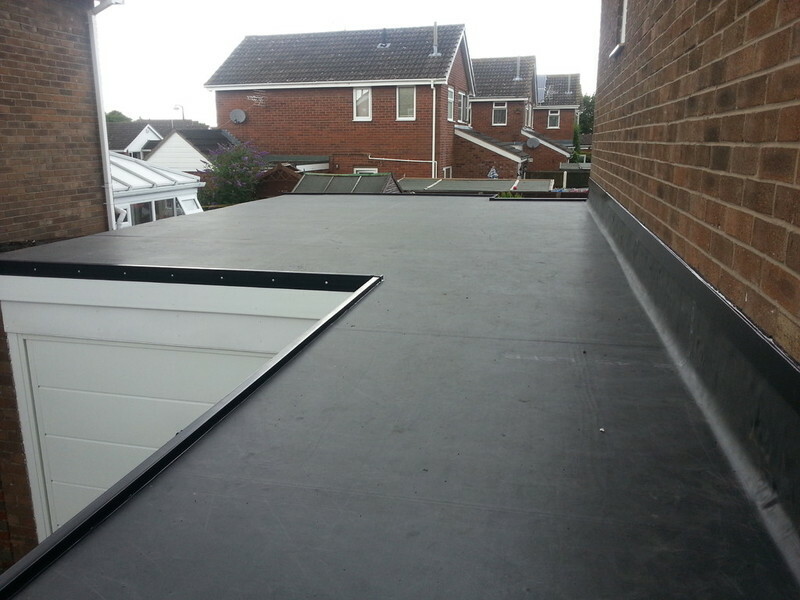 EPDM Rubber comes for a fraction of the cost of continuous replacement, it is cut to the size to fit onto your particular shaped roof and trimmed to suit. No joins mean no leaks and it’s so strong it can be walked on making it a good material for a balcony. It is flexible an UV, ozone, heat and puncture resistant so it wont crack or peel. 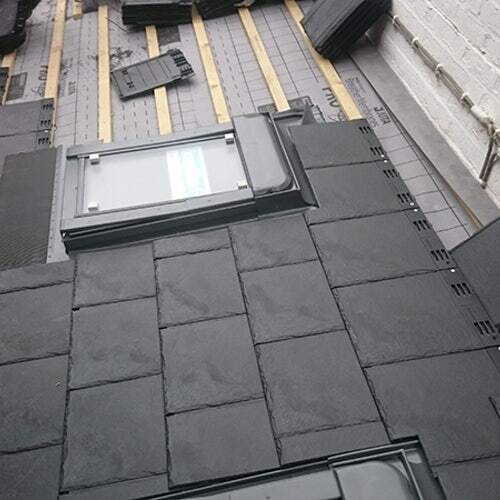 EPDM Rubber roofing in Manchester is also simple to fit, once the cut to size piece of rubber is delivered then position it on the roof in the correct place, lift one side up and spread the adhesive on the wood, then fold the half down and do the same for the other half. Once done get a broom to smooth out the bubbles and all that’s left is how you decide to edge it. 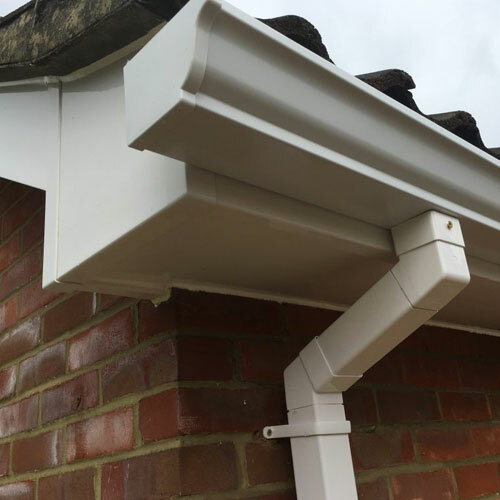 My Manchester Roofer provide a comprehensive roofline service installing fascias, soffits, guttering and bargeboards for that modern, clean and finished looking roof. Adding a fresh roofline can be like a facelift to the outside of the house, instantly providing a clean and modern look whether it’s a first installation or a replacement of an old system. Classic white or black PVC still rules the market but new options coming onto the market offer profiles designed to look like mahogany, oak and rosewood. 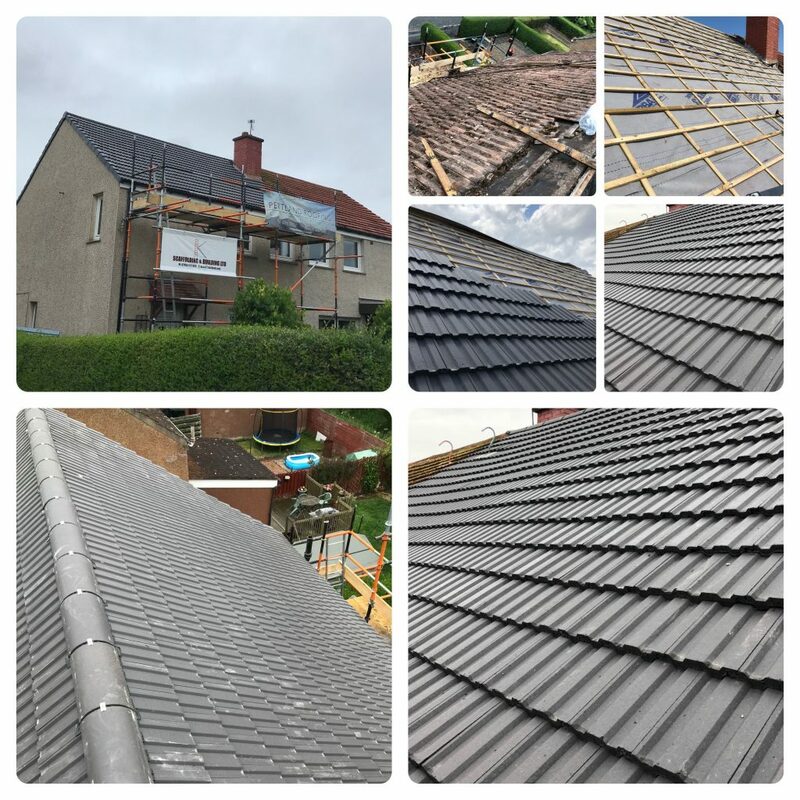 Guaranteed against fading for 10 years these high quality products can give your home a whole new exterior look and they also help keep your roof in great shape blocking rain and damp. 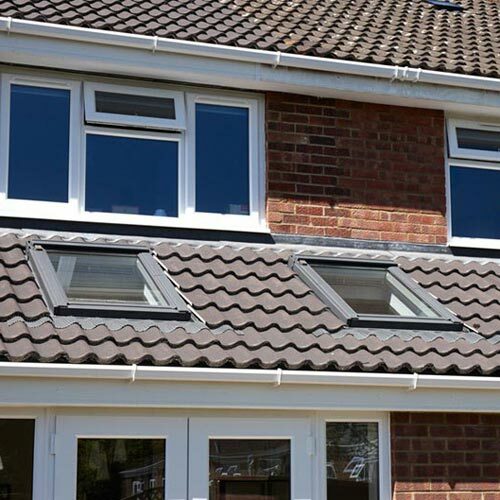 Comprehensive Gutters, Fascias and Soffits Services by your local roofers in Manchester. Storms and in particular, high winds, cause damage to roofs throughout Manchester – typically leading to roofing repairs. What can start as a small leak from a loose or missing tile can eventually end in damp or rotten joists and timbers. It is essential you manage these issues quickly and properly. Some roofing companies recommend low cost ‘quick fix’ solutions, like cement wash – however, we urge you to contact My Manchester Roofer – a specialist in roofing and roof repairs. We will provide a full assessment of work needed, backed by our free estimate service. Simply get in touch to see how we can help with any roof repairs in Manchester. Velux Windows in Manchester can offer a range of incredible benefits to your home. Not only are they a great way to add natural light and space to a room, but they also increase the value of your property by improving energy efficiency, air quality, and curb appeal. At My Manchester Roofer, we’re devoted to helping you get the most out of your roof, and your property, which is why we only use the very best materials and services to give you the project results that you deserve. In our eyes, no job is too big or too small, and Velux windows can be installed quicker than you might imagine, with minimal disruption, at a reasonable cost. There’s more to installing a Velux window than most people think. If you want to make sure that you get the best appearance and some incredible energy efficiency, then the window has to be properly measured and installed by a team of experts who know how to minimize energy loss. At My Manchester Roofer, we’ve been working on homes around Manchester for years – installing windows with skill and finesse. This experience means that we can create the perfect window for you in no time – with no fuss, and no exaggerated prices. Slate is a natural durable product that is unaffected by normal extremes of temperature and is highly resistant to acids, alkalis and other chemicals. It retains its natural colour, even in UV light and is impermeable to water. Many leading tile manufacturers now stock alternatives to slate that still give the appearance of natural slate but at a lower cost. My Manchester Roofer can supply and install new, reclaimed or slate roofing in Manchester to meet your requirements. Loft conversions in Manchester are a great way to expand your home’s living space and making the most of a space that would otherwise be largely unused. We know that a house is an expensive investment and you want to make the most of what you have, whether it be to accommodate a growing family with additional bedrooms, a bathroom or a play area for young children, or for an office space as more and more people work from home. We feel that no job is too big or small, here at My Manchester Roofer every single job and client is important to us, right through from small domestic repairs up to major commercial contracts. Our dedication and attention to detail is the same, no matter the size of the job. We believe in honest quotes and budget friendly pricing, we do not have a pushy sales team as we know our quality of work sells itself.Why not contact our roofing team for a free, no obligation quote for your roofing service needs in Manchester and surrounding areas?